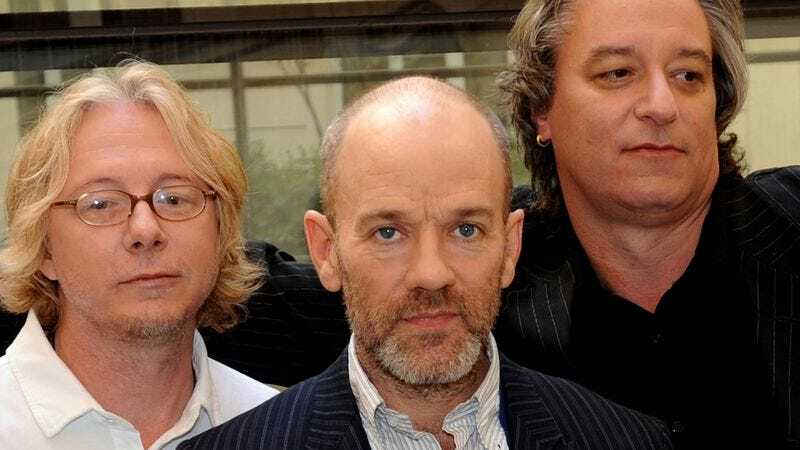 PORTLAND, OR—Claiming they are still struggling to accept their parents’ split-up, the children of seminal alternative rock band R.E.M. revealed Friday that they continue to hope their parents’ band will one day reconcile. “I just don’t understand why they can’t be happy together like they were before, when things were good,” said Zoe, daughter of guitarist Peter Buck, echoing the thoughts of Julian Mills and Zelda Buck, who just want their parents in the acclaimed jangle pop group to get back together in the studio. “I asked my dad if it was our fault that they broke up and he said, ‘No, honey, of course not. Sometimes adult Gen X musicians just don’t get along.’ But it hurts. I just want it to be like it was on the Monster tour again.” At press time, the members of R.E.M. reassured the children that, no matter what, they would always be the 1992 Grammy Award winners for Best Alternative Music Album.